Of all the horrendous deeds that man visits upon his fellow man, none repulses us as much as the act of killings someone and then consuming their flesh them. In this volume, we examine 18 such stories, some featuring infamous cases, others involving killers you may not as have heard of before. Joachim Kroll: Depraved German cannibal who preyed on children and was arrested while cooking a stew that included a little girl’s hand. Bonus Article: Cannibalism Through The Ages: A unique timeline detailing the most significant instances of cannibalism from antiquity to the 21st century. 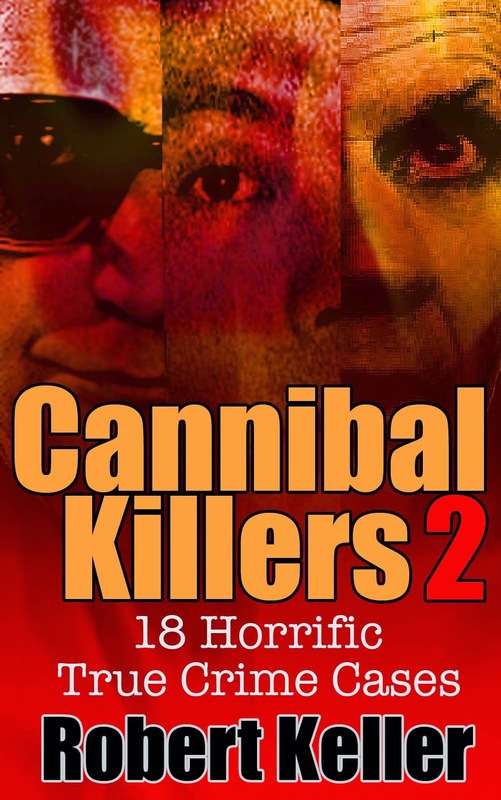 This book contains all of these stories and 12 more, plus bonus article, “Cannibalism Through the Ages"
Police officers and an ambulance were immediately rushed to the address given by the caller. They arrived to a scene so gruesome, that many would later require trauma counseling. A tiny, decapitated corpse lay on the bed, its skull cracked open and brain matter spilling out. Three of the baby’s toes were missing, apparently chewed off. As if that were not bad enough the skin of the child’s face had been ripped away. It looked as though he’d been attacked by a wild animal. Sanchez was placed under arrest, then taken to University Hospital to received treatment on her wounds. Thereafter she was charged with the murder of her son. In the meantime, family members admitted that she’d been depressed after the birth and had previously received treatment for mental health issues. Why then had nobody noticed anything amiss? Any sign of what was to come? The thing is, there were signs – plenty of them. Otty Sanchez was born in 1976, into a family in which several of the members – her mother, aunts and cousins – had mental health problems. She was an only child, but grew up in a crowded household with seven other relatives. She never knew her father. Adding to these chaotic living conditions was the fact that the family was always on the move. Otty lived in three different states and numerous homes during her childhood, the family eventually returning to San Antonio during her high school freshman year. By then, Otty Sanchez had grown accustomed to the voices in her head. They’d started when she was five, but they were mainly good voices, telling her that everything was going to be fine. Otty received no treatment for her condition during childhood. Indeed, no one appears to have regarded her as anything other than normal. Friends of her family described her as the most levelheaded member of the extended Sanchez clan. She did well at school and graduated with a good enough grade average to study as a pharmacy technician. It was while completing those studies in 2003, that she met Scott Buchholz, himself a schizophrenic. The two began a dysfunctional relationship, punctuated by frequent breakups. Sanchez's mental illness worsened over the years that followed. She began to display erratic behavior, leading to her losing her pharmacy job. Thereafter, she bounced from one low-paying job to another, usually in fast-food restaurants. She also had a brief spell as a home health caregiver. In May 2008, Sanchez went to Austin, Texas with a friend. While her friend was getting an acupuncture treatment, Sanchez wandered off and found her way to a pharmacy store, where she spent hours browsing the shelves. Eventually, staff became concerned and called the police, whereupon she was taken to Austin State Hospital. Sanchez spent 16 days at the hospital, underwent various tests and was diagnosed with schizophrenia. After her release she was referred as an outpatient to the Center for Health Care Services in San Antonio. She attended the clinic throughout the summer of 2008, receiving free counseling and anti-psychotic medication. Her condition appeared to be improving. But in September 2008, all of that changed. Faced with budget cuts, the Center for Health Care Services informed Sanchez that they could no longer treat her for free. She would either have to pay for treatment or apply for government benefits. Unable to afford the treatment, and daunted by the paperwork involved in applying for government assistance, Sanchez simply stopped going to the hospital. At around the same time, she and Scott Buchholz picked up their relationship again. By late September 2008, Otty was pregnant. It doesn’t take a genius to figure out that two schizophrenics deciding to have a baby spells trouble - especially, with one of them receiving neither medication nor counseling for the condition. And yet Sanchez carried her child to full term without incident. Scott Wesley Buchholtz-Sanchez was born on June 30, 2009. Three weeks later, Sanchez had one of her frequent fights with Buchholz and moved out of his house. On July 20, she moved with her baby into the home of her aunts and cousins. That same afternoon, she showed up at the emergency room at Metropolitan Methodist Hospital, complaining of being emotionally stressed. She was handed a flyer on dealing with anxiety and ushered out of the door. On the afternoon of July 25, Sanchez appeared at the home that Scott Buchholz shared with his mother, Kathleen. She claimed that she wanted to collect the baby’s diaper bag, but she was acting so erratically that Kathleen Buchholz urged her to seek help. At that, Sanchez accused Kathleen of trying to steal her baby and breastfeed him. She then bolted from the house. Kathleen then phoned the Bexar County Sheriff's Department and reported her concern for the child. The police took no action. It is impossible to comprehend what Otty Sanchez was going through at this time, although some clues must lie in what she later told the psychiatrists appointed to evaluate her. She said that she began to hear voices telling her that her mother had killed President John F. Kennedy and Marilyn Monroe. Those same voices told her that her son was going to cause the apocalypse and had to die. Tormented by these voices, Sanchez had gone to the kitchen and fetched a large knife, which she used to kill her infant son. While eating his flesh and brain matter, she gagged and threw up, but the voices told her to continue eating. The death of baby Scott placed prosecutors in a difficult position. Public opinion in San Antonio was strongly against Sanchez. Many people, including the baby’s father, were calling for Sanchez to be put on trial, found guilty and executed. Weighed against that was compelling evidence that Otty Sanchez was insane. In the end, prosecutors decided to pursue a criminal case. In September 2008, a grand jury indicted Sanchez for capital murder. The matter came to trial in June 2010. In the interim, three separate psychiatrists had evaluated Sanchez. Doctors Sellers and Puryear presented their findings to the court. They said that Sanchez had been suffering from postpartum psychosis at the time of her son’s death. Unlike postpartum depression, which is common in new mothers, postpartum psychosis is extremely rare. Women with the diagnosis can experience auditory and visual hallucinations and often express the desire to hurt their children. Both Andrea Yates, the Houston housewife who drowned her five children in a bathtub in 2001, and Dena Schlosser, who cut off her baby's arms in 2004, had suffered from the psychosis. Otty Sanchez, according to the testimony was legally insane. 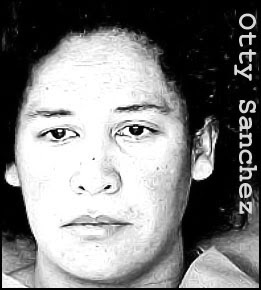 Otty Sanchez was ultimately found not guilty by reason of insanity. She was confined to a state mental health facility, where she will remain incarcerated for the foreseeable future.